It has been said that the normal English reaction to uncomfortable facts of life, such as Marxism, is an embarrassed but determined silence. That anyone should experience a desire to enquire into ideas as such, and to probe into the motives influencing them, seems extraordinary. 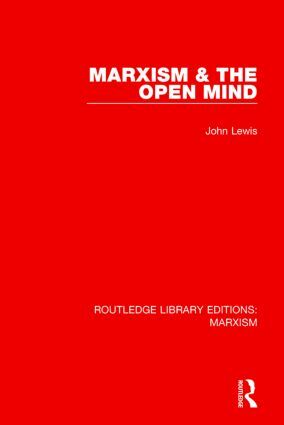 Marxism is, however, subjected to a close study in this book, first published in 1957, and the collected essays attempt the task of combining certain elements in the heritage of modern culture with the insights of Marxism. There can be no vital thinking for our age that does not do justice to both traditions.